Lakefront Riding Mountain National Park. 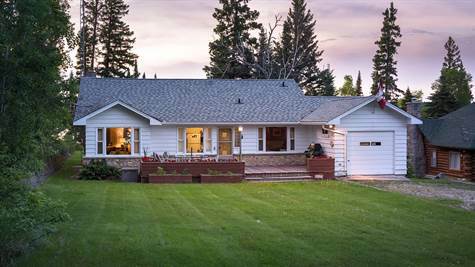 Nestled among the tall mature trees and overlooking the breathtaking shores of Clear Lake, you will discover this well built, perfectly maintained 1581sqft, 4bedroom, 2 bath cottage designed for family fun and friendly entertaining. Relax beside one of the 5 original fireplaces built within the park on those cool days or take the meandering stone path to the private shoreline. Call today to arrange a personal tour.